Vacancy: Preproduction Engineer / CAM Engineer. We are looking for a candidate to join our busy Front End Engineering team utilising the latest generation of preproduction tools and software to assist in analysing and processing customer data prior to manufacture. 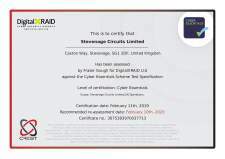 The preferred candidate would have experience of PCB manufacturing and CAM/CAD experience although this is not essential as training can be given. In line with the growth plans of Stevenage Circuits the management are pleased to announce the appointment of Pete King as Offshore Supply Chain Manager. Pete possesses over 25 years of PCB industry experience and has spent the last 12 years working with the Offshore Supply and logistics. We are all looking forward to supporting Pete within the business and ensuring that our customer’s needs are met in every way. We wish Pete every success in his new role. 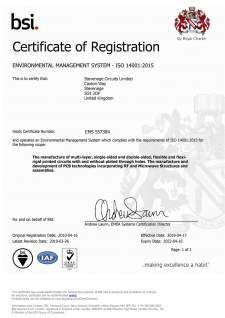 Tim Gee, Stevenage Circuits Technical Director is pleased to confirm that Stevenage Circuits have been granted new certification by BSI to ISO:14001 2015 having successfully completed a transition phase over the last 6 month period. Stevenage Circuits respects the environment and understands the potential impact that our business operations may realise to all interested parties. The principles of ISO:14001 together with strong leadership and risk based thinking are measures used to continually minimise the impact of the business operations accordingly. 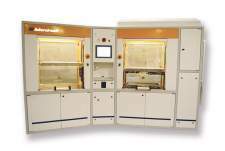 A Nikon Metrology video measuring machine has successfully taken over the quality control of printed circuit boards (PCBs) at Stevenage Circuits Limited (SCL) after the graphics card failed in a piece of similar equipment from another supplier. The new iNEXIV VMA4540 is used virtually continuous for 2-D optical coordinate measurement of machined features and copper tracks. It underpins not only first article inspection of boards and printed reports for customers, but also process control in the drilling, etching and routing departments. The management of Stevenage Circuits Limited are pleased to announce the appointment of Jonathon Meadows in a Business Development Manager capacity. Jonathon possesses a wealth of PCB industry knowledge and experience and, working in conjunction with the team at Stevenage Circuits, we are all looking forward to supporting Jonathon in the challenges associated with establishing mutually beneficial trading relationships in the new business sphere. We wish Jonathon every success in his new role. Stevenage Circuits Limited are pleased to announce the appointment of Daljit Basra as Manufacturing Manager with immediate effect. ‘Bas’ as he is known internally is a vastly experienced individual with a strong Engineering and Manufacturing background borne of some 30+ years of employment within the high-end complexity PCB manufacturing sector. The entire operational team here at Stevenage Circuits is fully committed to supporting and working closely with Bas to cement and embellish the many strengths that exist within the workforce, and, to ensure the long-term health of Stevenage Circuits Limited within what remains a challenging marketplace. The Chinese New Year, or Spring Festival, has more than 4,000 years of history and is the longest holiday of the year. In the 21st century, the national holiday begins on the first of the Lunar Calendar and lasts until the 15th of the first month. In 2019, Chinese New Year begins on January 13th and ends February 19th. Analysis and advice on customer CAD data and technical drawings. Perform Design Rule Checks to ensure designs comply with manufacturing capabilities. Assist in the preparation of route cards, specific build requirements including impedance control. Assisting sales on customer visits for technical support. 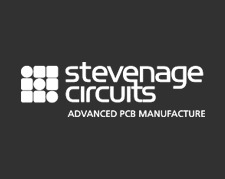 Stevenage Circuits Ltd have recently secured a large industrial power contract supplying technically demanding PCB's. Stevenage Circuits Ltd are pleased to announce the acquisition of Anglia Circuits based in St Ives. Stevenage and Anglia have a long standing relationship reaching back over 20 years and have collaborated closely together on numerous projects in the past with common customers. 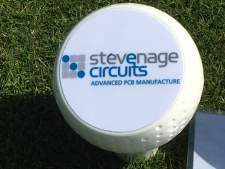 The team at Stevenage is looking forward to ensuring that all the new and existing customers of Anglia continue to receive excellent customer service, quality and delivery, along with the enhanced technical capability that Stevenage Circuits customers already benefit from. The SCL board of Directors are pleased to announce the appointment of Paul Soderquist as the SCL Quality Manager. With a demonstrable career held within PCB fabrication spanning greater than 40 years, Paul has held management positions within engineering, quality assurance and laboratory analysis. Without a doubt Paul’s in-depth understanding of PCB manufacture will be an asset to both SCL and its clients maintaining both our QMS and product integrity to very high standards. The SCL Board of Directors are pleased to announce the appointment of Mike Fairclough as Business Development Director. Mike has worked on the customer service side of the electrical & electronics industry for over 25 years after serving his time as an aircraft electrical systems technician at BAE Systems. Mike’s knowledge and experience in the Interconnect, assembly and Printed Circuit Board industries will further enhance the support that Stevenage Circuits can bring to its customers. Looking for a job in PCB manufacture? Inspection and verification for both new and repeat jobs to both industry and customer standards. The use of calibrated measuring equipment. Fault finding and inspection to applicable standards, evaluating cosmetic and technical defects. Issue & validation of inspection reports. Use of our PCP2000 ERP system’s production module. A programme devised by the UK's Technology Strategy Board, known as the Knowledge Transfer Partnership (KTP), has enabled a collaboration between Coventry University (Knowledge base) and Stevenage Circuits Limited (Industry). The partnership will allow flow of information from the University to the company where it can be directed toward innovative projects. Coventry University brings in the expertise of Dr. Andrew Cobley and his Functional Materials team, represented by Narinder Bains, whilst the project at Stevenage Circuits is led by Tim Gee, technical director and Phil Firth, technical manager. • Direct network link and data output available from our Genesis 2000 CAM enabling instant access to data files. Ideal for the ultra-fast printing of prototype panels to further enhance our fast turn-a-round manufacturing capability (every hour saved counts). Tim Gee our Technical Director would like to thank the ICT and all of those attendees who showed interest in SCL and our new Semblant process Tim presented at the meeting ICT last night. SCL are pleased to announce the installation and commissioning of 10 additional plating cells using the latest inert anode technology for the plating of copper filled micro-vias. This addition to our production facility takes our total number of plating cells to 14 and enables a throughput capability not matched elsewhere within the UK. Stevenage Circuits Ltd (SCL) are pleased to announce the appointment of Tim Gee to its board as Technical Director, Tim has been with the company overall for 25 years. By way of promotion Peter Hill is now CAM Engineering Manager and Phil Firth Technical Manager. For the second year running the UK PCB manufacturer Stevenage Circuits Ltd (SCL) have received a Supplier Excellence Award from a UK division of a major corporate US Defense contractor. SCL are engaged within the SC21 initiative with key client Selex Communications Limited in partnership with Quintec. Supply Chain 21 (SC21) is a change programme which aims to accelerate the competitiveness of the UK's defence and aerospace industry by raising the performance of its supply chains. The SCL senior management team see this as an exciting opportunity to engage in a program which will both benefit our operational capabilities in harmony with the expectations of the Defence, Avionics and Aerospace business sectors.